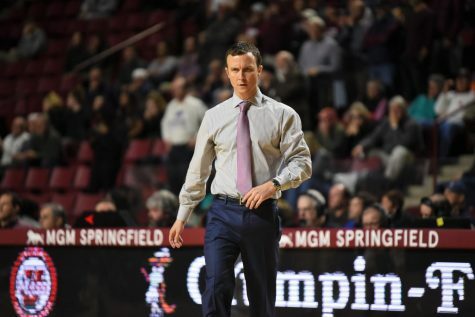 UNCASVILLE, Conn. — The Massachusetts men’s basketball team is accustomed to relying on its starting unit for significant production in the early stages of a young 2014 season. 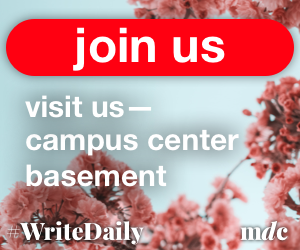 But in Sunday’s 75-69 victory over Florida State, the Minutemen couldn’t rely on the same formula that resulted in three wins to start the season. Center Cady Lalanne and Maxie Esho fought foul trouble in the second half while starting guard Derrick Gordon injured his foot in the second half and missed the last eight minutes of the game. 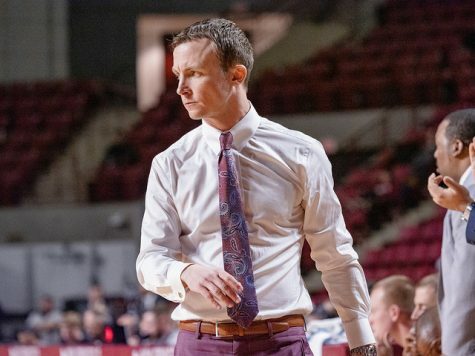 UMass coach Derek Kellogg had little choice but to integrate his bench into crucial minutes. And a mixed and matched combination of role players answered the challenge in the victory. 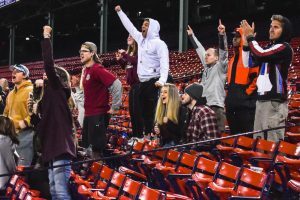 “It gave us a little confidence and swagger back,” Kellogg said. 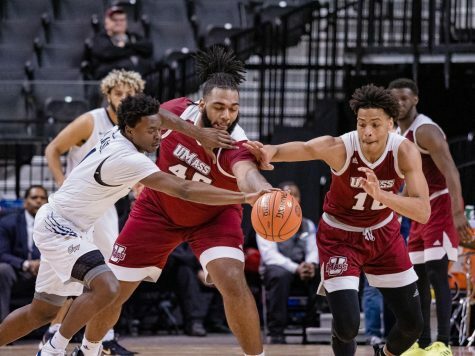 UMass returned to the win column just a day after losing its first game of the season to Notre Dame, 81-68. Guards Jabarie Hinds and Donte Clark and forward Zach Coleman combined to play 77 minutes, score 32 points and reel in nine rebounds. 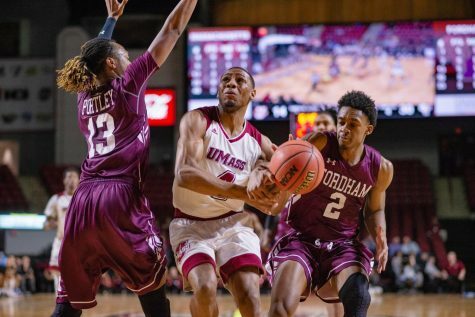 Kellogg played the trio of reserves – his first three rotational players off the bench – throughout a second half in which the Minutemen clung to a slight lead. 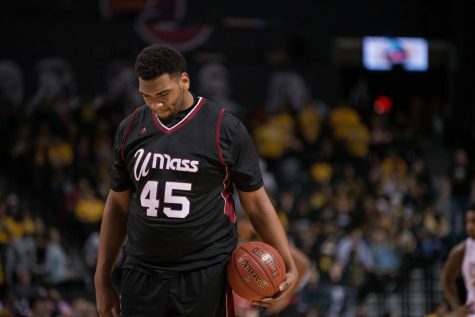 Clark was especially instrumental in leading UMass to a victory. He finished with 15 points on 3-of-9 shooting in 28 minutes, but assumed the role left behind by Gordon. 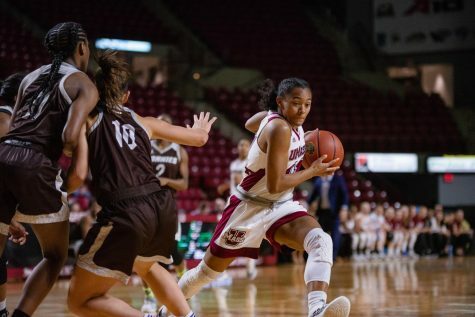 Clark scored 11 of UMass’ 13 points from the 13 minute, 39 second mark in the second half to the 6:59 mark. His final points of that run, a 3-pointer, extended UMass’ lead to 62-57. While Esho and Lalanne remained on the bench due to foul trouble, Clark increased the tempo, initiating offense on drives and opening up spacing throughout the floor. 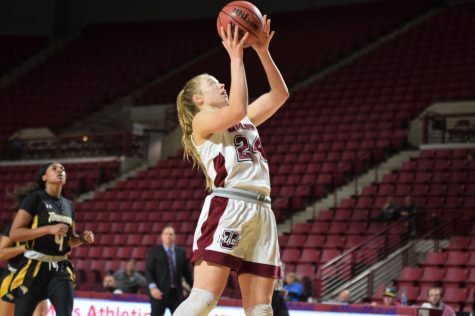 Clark was one of UMass’ top scoring options, something Kellogg said he hoped would become the case throughout the season. Clark’s averaged 12.5 points over 26.5 minutes in his past two games. While Clark helped extend the lead, it was Hinds who closed it out. After playing only 12 minutes against Notre Dame, Hinds scored 15 points on 5-of-10 shooting in 25 minutes Sunday. 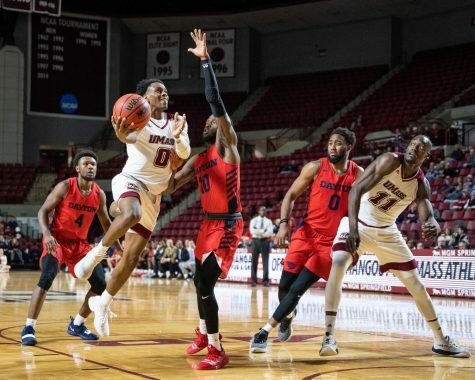 He scored nine of UMass’ final 13 points and started the scoring run with a pair of acrobatic layups after beating his defender on 1-on-1 moves to slither into the paint. His final five points came at the free throw line and iced away the victory. Coleman’s role didn’t show up offensively – he only scored two points in 24 minutes – as much as it did defensively. Esho played only 17 minutes, giving way to Coleman. It was the first extended action for the redshirt freshman this season. 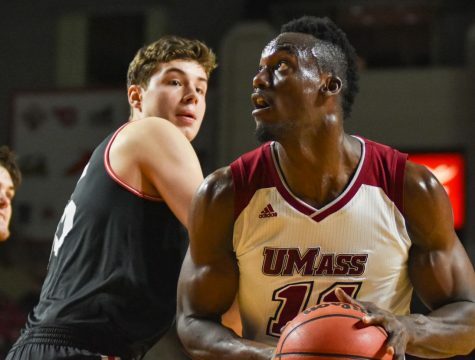 Coleman matched up defensively alongside Lalanne against a Seminoles team which featured a Boris Bojanovsky (7-foot-3, 240 pounds), Michael Ojo (7-foot-1, 292 pounds) and Kiel Turpin (7-feet, 240 pounds). Yet Kellogg felt the 6-foot-7, 200-pound Coleman performed admirably. “I thought he played well, he rebounded the ball, he did a nice job defensively and he gave us some valuable minutes off the bench,” Kellogg said. Kellogg acknowledged following the game that the victory showed “character,” saying his team needed it following a difficult loss the day before. 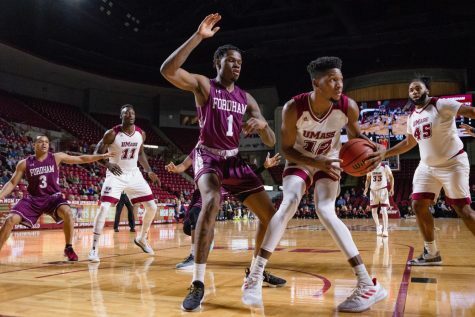 It also proved UMass – which has more depth than a season ago – can rely on its bench for longer stretches in important games.